Gaylord Nordine, MD, DPH is founder and president of Pathways, a company organized in 1989 to deliver neuromedical services through interdisciplinary primary care and specialty teams. Pathways was reorganized in 1998 to develop, produce, and distribute health technologies that include cellular broadband and multi-channel Internet communications, claims-clinical-linguistic databases, cinematic (video) learning systems, virtual clinic healthcare, and personal training. Pathways has become a collaborative enterprise affiliated with nearly one hundred healthcare and business professionals based in academic institutions, government, and private business organizations in the United States and Europe. Pathways services are delivered through healthcare, personal training, academic, and business groups. The company produces a diverse array of personal health solutions through its affiliate network. Dr. Nordine trained in Chemistry at the University of Nebraska, Medicine and Neuropsychiatry at Northwestern University, and Preventive Medicine, Health Policy and Management at the University of Michigan with Sol Axelrod, MD, MPH and Avedis Donabedian, MD, MPH. 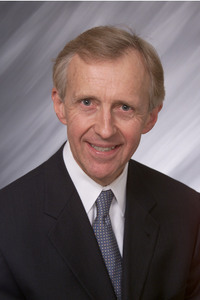 He became a leader in the 1970’s Physicians in Training movement, established the Resident Physicians Section of the American Medical Association, developed Iowa Health Department Policy and Management Systems, practiced medicine as a Board Certified Neuropsychiatrist, and held several healthcare management and consulting positions before organizing Pathways. From 2002 through 2006 he transitioned from medical practice to full time executive leadership of the company. Fifteen percent of his time is committed to clinical consultation and the balance to management and research. The key health services concept expressed in Pathways technologies is integrated wellness, medical care, and family health training to achieve comprehensive personal health solutions. Pathways core philosophy is that interdisciplinary “full health field” diagnosis is essential for any effective health plan. Diagnostic evaluation must account for all the biomedical, environmental, social, and interpersonal factors that affect health. Individualized health plans must include measures to protect, maintain, and enhance health status as well as to treat and rehabilitate medical conditions. Health plan execution requires anytime-anywhere multi-channel communications, integrated database management, and interdisciplinary services that develop and support physical, nutritional, resource management, stress adaptation, and healthcare navigation capabilities. Pathways addresses these factors via a network of project teams that engage in communications, computer based automated medical interviewing, database development, cinematic training, health enterprise management, education, and research.